The Parish of Little Horton, Bradford – Part of the AMOS cluster of Churches in Bradford 5. 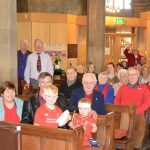 Both churches offer a lively mix of old and new hymns and songs in the Holy Communion service, a Sunday School for children, and a warm welcome. Why not try us out? We belong to the Anglican Communion, within the CofE Diocese of Leeds. As a member of the Church of England, our Churches have adopted the House of Bishops safeguarding guidelines to Promoting A Safer Church. At All Saints, we believe that God loves us and that he sent Jesus to die for us and to rise again from the dead. Through faith in Jesus we find our wrongdoings forgiven and we know peace with God and with one another. And one day we look forward to being with God in heaven. Sunday worship is at 11.15 a.m. when we meet God in the teaching of the Bible and in Holy Communion. There is Sunday School for children during the service every Sunday except the first of the month. After the service time we serve drinks and cake and a chance to meet one another. Once or twice a year we offer a six week ‘START!’ course for those wanting to explore their faith. In a small group in the vicarage we meet over coffee and video to discuss the meaning of life. Contact the vicar. All Saints shares a vicar, Rev. Canon Stephen Treasure, with St Oswald’s Church, further up Little Horton Lane. All Saints Church, postcode BD5 0NG, is located on Little Horton Lane, opposite St Luke’s hospital. For easy parking, turn down Pullan Street, opposite the hospital; turn right at the end onto Little Horton Green, and there is plenty of parking there and on Kennion Street, right from Little Horton Green. At St Oswald’s, we believe that God loves us and that he sent Jesus to die for us and to rise again from the dead. Through faith in Jesus we find our wrongdoings forgiven and we know peace with God and with one another. And one day we look forward to being with God in heaven. Sunday worship is at 9.30 a.m. when we meet God in the teaching of the Bible and in Holy Communion. 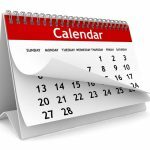 There is Sunday School for children during the service every Sunday except the first of the month. After the service time we serve drinks and biscuits and a chance to meet one another. Once or twice a year we offer a six week ‘START!’ course for those wanting to explore their faith. In a small group in the vicarage we meet over coffee and video for an hour and a quarter to discuss the meaning of life. Contact the vicar.